Two million people worldwide die each year from tuberculosis. World Health Organization (WHO) reported in Indonesia in 2006 found 14.4 million TB cases with 38 deaths per 100,000 population. As much as 98 percent of deaths occur in the population of working age. Although the drug has been available against tuberculosis (TB), TB remains a major health problem worldwide. The causes, characteristics of the bacterium that causes tuberculosis, Mycobacterium tuberculosis, is able to evade the human immune system so that it is sometimes less effective therapy. Inconsistent treatment of resistance to drugs, due to mutations causing mycobacteria chromosome to avoid the effects of drug action, became an obstacle. From the condition of these concerns, three semesters VII students of the Faculty of Medicine, University March couples, ie Afandi Dwi Harmoko, Rastrama Yasjudan and Trisna Adhy Wijaya, analyzed several studies and concluded that green tea (Camellia sinensis) can be used as adjuvant therapy (support) to existing TB therapies. 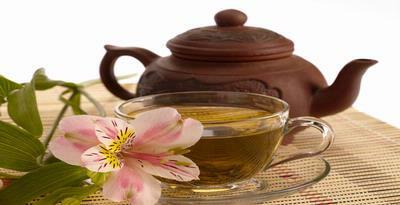 This is because green tea contains polyphenols that can inhibit the proliferation of mycobacteria gallate, namely epigallocatechin (EGCG). Each gram contains 30-50 grams of EGCG in green tea. Actually black tea also contains polyphenols EGCG, but not as much as green tea.Production process of black tea makes the content of EGCG reduced. “It’s very interesting because in our country there are plenty of green tea but less than optimal use of health,” Hassanain said Thursday (02.02). The third of the references used are research students Anand PK, Kaul D, and M Sharma of India in 2006 on green tea polyphenols can inhibit proliferation of Mycobacterium tuberculosis. This research suggests that mycobacteria are killed after 12 hours of exposure to EGCG in green tea. According to Hassanain, EGCG has a mechanism as an immunomodulator, which stimulates the immune system can kill mycobacteria and reduce the immune system that can damage normal cells. The mechanism is not in the anti-TB drugs currently in use. Other benefits of EGCG is an antioxidant that is 10 times more potent than the antioxidant vitamins C and 100 times stronger than vitamin E.
Furthermore, EGCG can also inhibit the growth of Taco (tryptophan-aspartate-containing coat protein) in macrophages. Macrophages are immune cells that destroy defective cells and deactivate harmful substances such as bacteria or viruses. Moreover, macrophages can not destroy the mycobacteria because it is protected by Taco, a protein produced macrophages. “Taco Mikobakterium use to protect itself so it can not be destroyed by macrophages. EGCG in green tea can inhibit the growth of Taco,” Hassanain said. To separate the EGCG in green tea, according to Yasjudan, can be made with green tea extract with meserasi extraction method, which is immersed in a solvent of chloroform, methanol 95 percent, and ethyl acetate, then take the juice. This method can be removed without damaging the stability of EGCG. “We hope that more research on this, especially the effective dose of EGCG for supportive therapy and its side effects,” Hassanain said. The results of analysis of the three students who poured in a scientific paper received the second prize in the National Student Science Writing Competition Writing Medical Scientific Airlangga with the theme “Tropical Infectious Diseases”, held in October 2011.